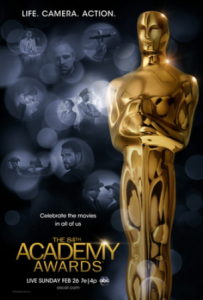 The nominations for the 84th Academy Awards were revealed On Tuesday, January 24th. And weeks later, I am still trying to prevent myself from retching in disgust each time I think of the nominations. Sure, every year there is going to be something wrong with the list of nominees. 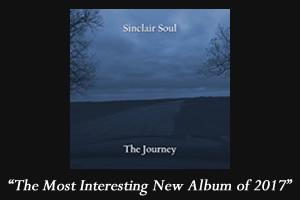 This is due to all of the injustices, snubs, surprises, or whatever else it may be that’s thrown our way. But this year stands out more than most years as there are just too many of said injustices and/or snubs. Films that were universally praised by both critics and audiences would only get one nomination in a category it generally wouldn’t be recognized for or none at all, in favor of films that were made with pretty much the sole intention of getting an Oscar, their trailers alone following all the dramatic beats of an Oscar-hungry film. Sure, there were a few films in each of the respective categories that deserved their nominations, but overall, things are pretty messy. Although to be clear, not every category’s respective nominations were terrible. I mean fields such as Visual Effects, Cinematography, and Original Score were just fine. But these are fields that don’t generally get a lot of attention in the first place, so just because there’s no problems with these categories doesn’t mean that the nominations aren’t a mess. No, thanks to the choices of nominations in three major areas – Best Picture, Best Animated Feature, and all the acting categories – this is looking to be one of the worst Academy Awards shows in a while. Let’s start with the Best Animated Feature award. This list is noteworthy for being the first time that a Pixar film did not make the list – it’s shocking, yes, although since Cars 2 was critically reviled, its chances weren’t looking that good to begin with. However, we instead get Kung Fu Panda 2, Puss in Boots, Rango, and then from France, A Cat in Paris, and from Spain, Chico & Rita, the latter two I have not seen. However, I have seen the other three, and honestly, the only one with any real business being on this list is Rango – it was funny, cute, sometimes dark, and it brought something completely original to the table. While Kung Fu Panda 2 was without a doubt a good movie, I don’t really see it as being “Best of the Year” material. Sure, it was pretty funny and it had its share of warm moments, I felt it tried too hard at times to be a kids movie rather than just a family film, so it never really packed enough punch to be anything extraordinary. Enjoyable yes, and I will gladly rewatch it, but again – nothing extraordinary. All this can be said about Puss in Boots as well, except that Puss in Boots tries even harder than Kung Fu Panda 2 to cater to kids, so it resulted in a mediocre movie, rather than a good one. Its inclusion on this list is much less worthy than Kung Fu Panda 2’s inclusion. There were three films that should have been included: The Adventures of Tintin, Winnie the Pooh, and Arthur Christmas. Both Pooh and Arthur did much better jobs accomplishing what both Panda and Puss in Boots were trying to accomplish, making them much more accessible to all audiences rather than just kids. 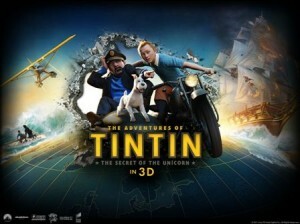 Tintin – a very Raiders of the Lost Ark-inspired film – had a little of everything: Action, adventure, laughter, suspense. It ended up being a hell of a good time and it would have been my pick for the award had it been nominated. While I have no idea why either Pooh or Arthur (which, I believe, were the two most critically praised animated films this year) were not nominated, apparently the story on Tintin – a film whose characters were given life due to motion-capture performances rather than actual animation – is due to the fact that the Academy no longer views motion-capture as an animation technique. Despite the fact that the settings and objects were animated, this did not help the film’s case and thus, was not included, making me along with many others, incredibly sad and outraged. The acting categories also have me shaking my head. Like I said, of course there’s going to be snubs, but I am utterly baffled by the people who ended up actually getting nominated. Look at the Best Actress nominations. While I did not see The Iron Lady, the trailer suggested that it looked like it just followed the beats of a typical Oscar film. Nothing more, nothing less. However, Meryl Streep is in it, so that automatically means she has to be nominated because she is Meryl Streep. So despite the film’s mixed critical acclaim, Streep still managed to get nominated. Meanwhile, there is Albert Nobbs: the critics hated Albert Nobbs and nobody saw Albert Nobbs (myself included), yet Glenn Close still managed to get a nomination for her very trite and unconvincing role as a transvestite in the film. How? Well when you go to the lengths you do to look as creepy as she does in that movie, I guess you deserve some credit. But still, these two were nominated, yet where was Tilda Swinton for We Need to Talk About Kevin? Or Charlize Theron for Young Adult? Berenice Bejo was nominated for The Artist, yet it was as a Supporting Actress rather than lead, even though she spent just as much time on screen as her male co-star Jean Dujardin, who got nominated for lead. Speaking of the Best Actor category, let’s look at that next. This is actually fine for the most part, although my one major quip was the inclusion of Gary Oldman for Tinker Tailor Soldier Spy. Now, I have absolutely no clue where this came from. TTSS is a spy thriller with an ensemble cast that really never went far into exploring the depth of any of its major characters. There were so many different places to put your focus that it really never gave you a chance to identify with any of the characters. So while the performances in that film weren’t at all bad, they weren’t exactly anything that stood out. Yet somehow they managed to sneak Oldman in there. Next thing you know, Daniel Craig will be getting a nomination for every single James Bond film he is in. There were a few people who could have nicely filled in that slot wrongly filled by Oldman: Ryan Gosling for The Ides of March or Drive, Michael Shannon for Take Shelter, Joseph Gordon-Levitt for 50/50, to name a few. 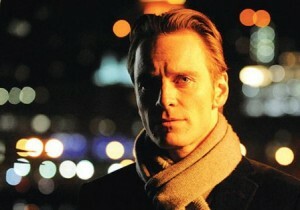 However, the one that everyone (myself included) is most upset by it’s non-inclusion is Michael Fassbender for Shame. Fassbender has shown a quick rise to stardom these past three years, with this role being praised as his best yet, as he manages to perfectly convey a deeply troubled individual behind the calm, sophisticated exterior that he brings to most of his characters. The critically-acclaimed performance seemed like a sure-fire nomination at the very least, and it is probably one of the biggest snubs in the acting categories. The other biggest snub is in the Best Supporting Actor category. 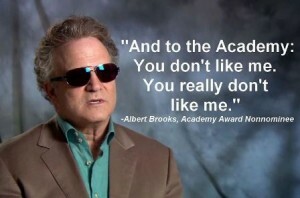 And here the victim is Albert Brooks, also in a role that could be argued to be his best. Brooks, typically playing the lovable lead role in comedies, turns in a performance in Drive that was an awesome turn against character as he very convincingly plays the menacing and ruthless antagonist. It was a nice return to the spotlight for the veteran comedian and it, too seemed like a sure-fire nomination, as the acclaim for his performance matched that given for Fassbender’s performance. Alas, he wasn’t nominated for some odd reason. And in his place, we get … Max von Sydow for Extremely Loud and Incredibly Close. While I did not see the film, the reason I single it out is due to the fact that, like The Iron Lady, it looked nothing more than pure Oscar-bait. 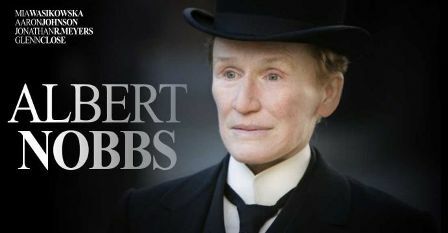 And like Albert Nobbs, critics weren’t exactly the biggest fans of it, all for the reasons I wish to stay away from it – the plot is ludicrous, its use of 9/11 is manipulative, plus its beats are generic, a vibe I got from its lackluster trailer. And to top it all off, amongst whatever good things that were said about it, von Sydow’s performance really hasn’t prominently been mentioned, unlike the other four nominees. So his inclusion on this list leaves me baffled. This leads me to the Best Picture nominations. Extremely Loud once again catches my attention due to its inclusion in this category, for all the reasons mentioned above. At 49% on Rotten Tomatoes, it makes this one of the most critically reviled films to receive a nomination for Best Picture. That aside, of the remaining eight films, I’ve seen seven of them, the only other one I did not happen to catch being The Help. Of these seven, the only films I felt fully deserved the nominations were Hugo, The Descendants, and Moneyball. They all contained engaging stories, likable characters, great screenplays, and fantastic performances that all led to three excellent films. The others, I can’t really say the same for. While I thoroughly enjoyed both The Artist and Midnight in Paris (The Artist actually is one of the Honorable Mentions in my Favorites of the Year list), I can’t really go so far as calling either of them “excellent.” Paris is a little too low-key for me at some points while The Artist, as wonderfully made as it is, nothing more than a crowd-pleaser with its story being a little familiar. While I’m glad to see both films getting some recognition and I’ll take them over most of the other films on this list, there are still other films that I’d rather see in their place. On the other hand, neither War Horse nor The Tree of Life should be on this list at all. While War Horse was a pretty decent film, it, too, was pure Oscar-bait, with predictable dramatic beats and a story that got a little preposterous at times, with its saving grace being the great performances by all the actors involved. And as for The Tree of Life, I could reasonably see it getting nominated if the Best Picture qualifications were solely based on visuals. While it does have amazing cinematography, the story isn’t made very clear, with the film striving to be more symbolic rather than looking to tell a coherent story. When it did maintain its focus, it was fine, and Brad Pitt’s performance was great; however, these good moments were followed by moments that proved to be mighty confusing or unnecessary. And what got snubbed in favor of these films? Where’s the nomination for Drive or Shame? Both films were universally praised by both critics and film buffs (coincidentally, they were my two favorite films of the year), yet they didn’t get squat, here. What about 50/50? We Need to Talk About Kevin? Tintin? The Ides of March? Win-Win? Or if anything, with the Academy’s new rule regarding how many films can get nominated for Best Picture, they could have just left some of the spots filled by Extremely Loud, War Horse, and Tree of Life empty and let the other six (or five) duke it out. The 84th Academy Awards will be held in Hollywood on Sunday night, February 26th.